Welcome to your iBuddie Support Guide. 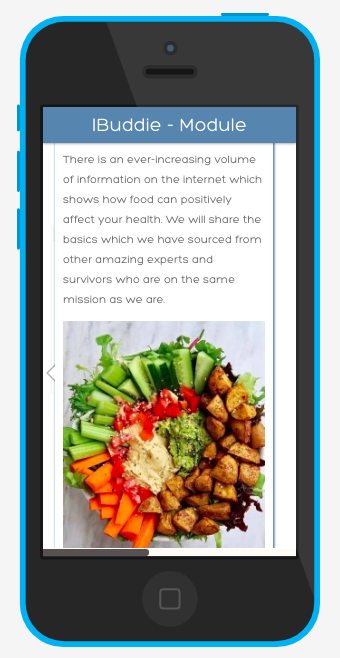 iBuddie is a conversational guidance support we have compiled for you and your loved ones. 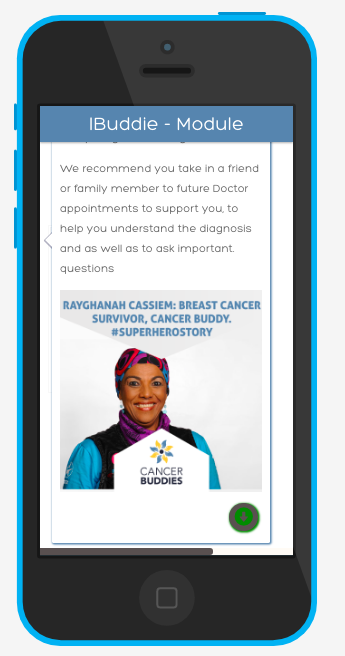 The support information you will go through we have sourced from trusted people doing great work both locally and globally, which will help you understand and process your or your loved ones cancer diagnosis, giving you tips, information and guidance toward healing. We are in the process of building 12 modules over the course of 2018 to give you the information and guidance which is trusted and useful to you and your loved ones. Our first module is up and ready and others will be released between 2 - 4 week intervals so Keep an eye on our Cancer Buddies Facebook and Instagram pages to know when new modules will be ready for you.